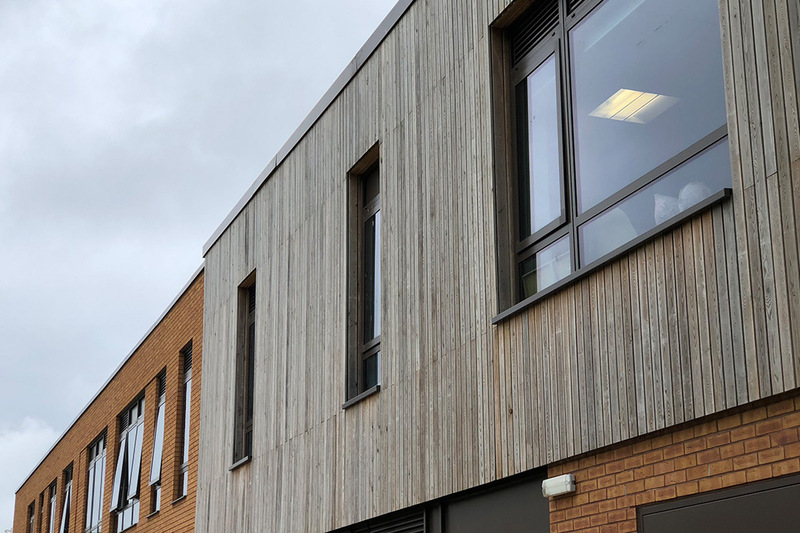 Product: Siberian Larch was supplied for this project in 4.0m lengths, the specification called for a PAR (Planed All Round) board with 2mm eased edge. 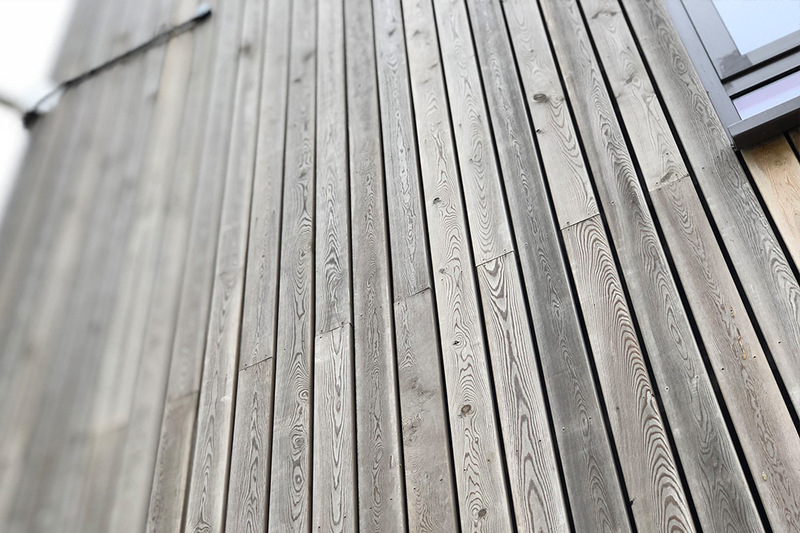 NORclad Grade B was supplied, offering a fair spread of knots, along with the distinctive grain of the species. 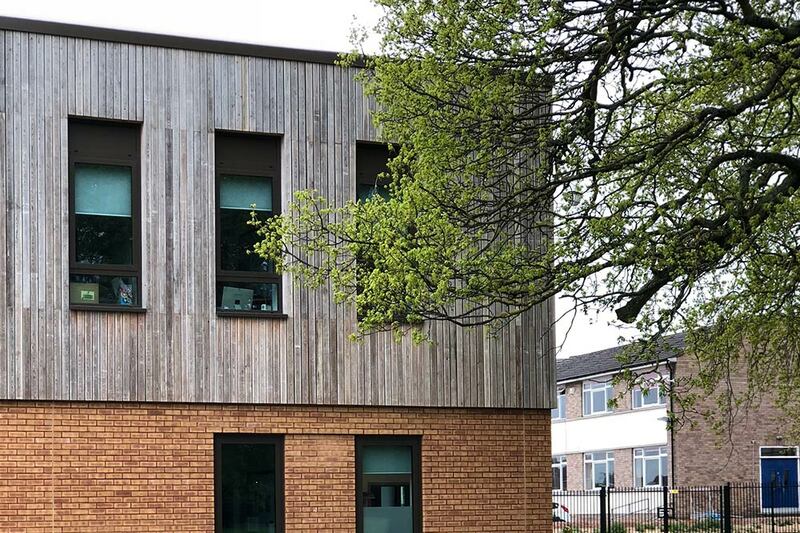 All timber on this project had to meet Euro Class B, this was done so in house, before being treated with Koppers MicroPro, a preservative treatment which offers a formal 30 year warranty against rot & fungal decay. 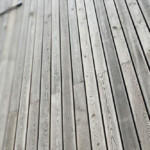 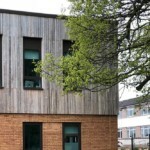 The desire was for the timber to weather down to a silver grey to blend in to its surroundings, and contrast the other materials on the building. 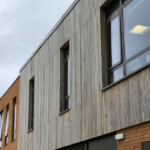 NORclad® are the South West’s premier supplier of Siberian Larch timber cladding, one of the hardest and strongest commercial softwoods available. 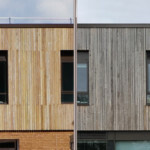 Siberian Larch is a very popular timber cladding choice for its appearance; regarded as having a very desired finish with beautiful colouring and texture. 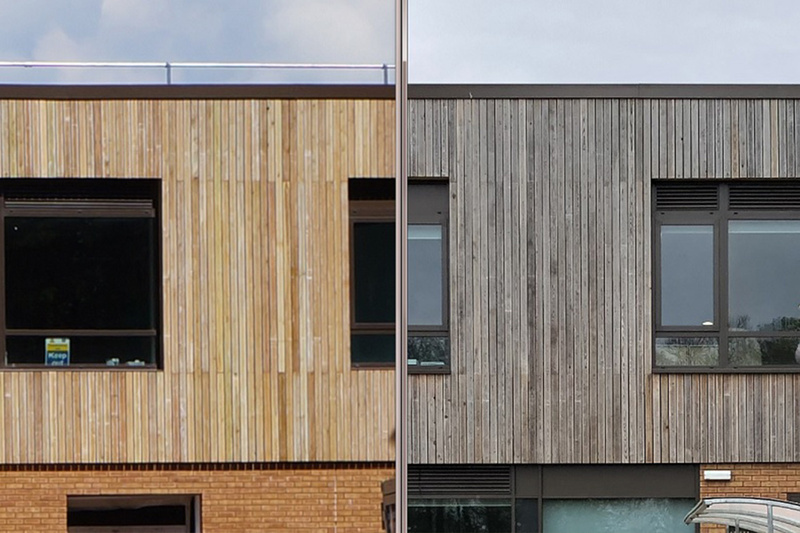 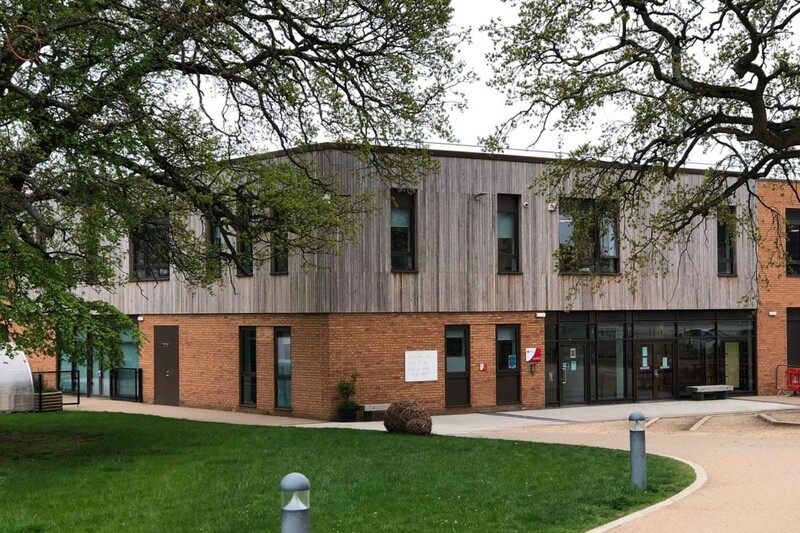 Discover more Siberian Larch case studies, including a variety of schools, university campuses and private residential homes.